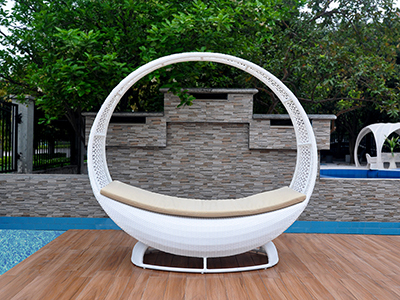 Product categories of Wicker Daybed, we are specialized manufacturers from China, Wicker Furniture, Wicker Daybed suppliers/factory, wholesale high-quality products of Wicker Sofa Set R & D and manufacturing, we have the perfect after-sales service and technical support. Look forward to your cooperation! 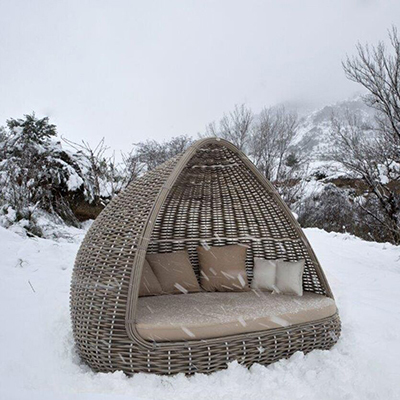 Outdoor Wicker Daybed is modern stylish choice for resort and hotel projects.The contemporary design is combined with all-weather PE wicker,study aluminum frame and UV protected fabric cushion. 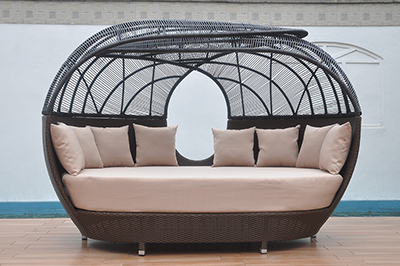 Outdoor Wicker Daybed is classic among patio furniture. They are easy in maintenance and look naturally, plus they are ideal for the terrace,patio and poolside. 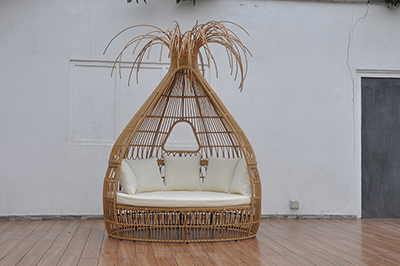 Wicker Furniture is available in many different versions – sectional outdoor sofas, sofas, sets or chairs. The full offer is available on our website. Since the demand for furniture has grown in recent years, the wider offer has been created. We are convinced that our broad and attractive assortment will suit any tastes.